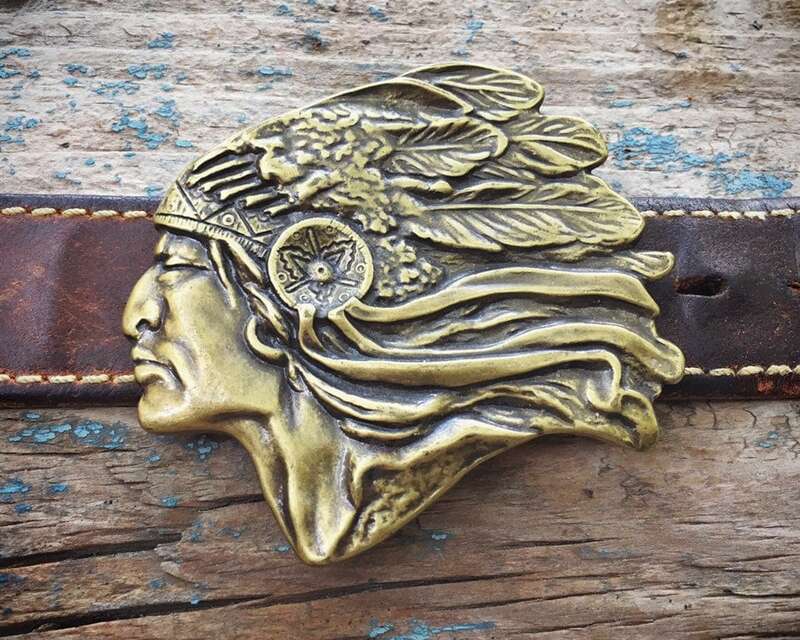 In the 1970s everyone I knew, myself included, wore flannel shirts, Levi's, and leather belt with solid brass belt buckles. 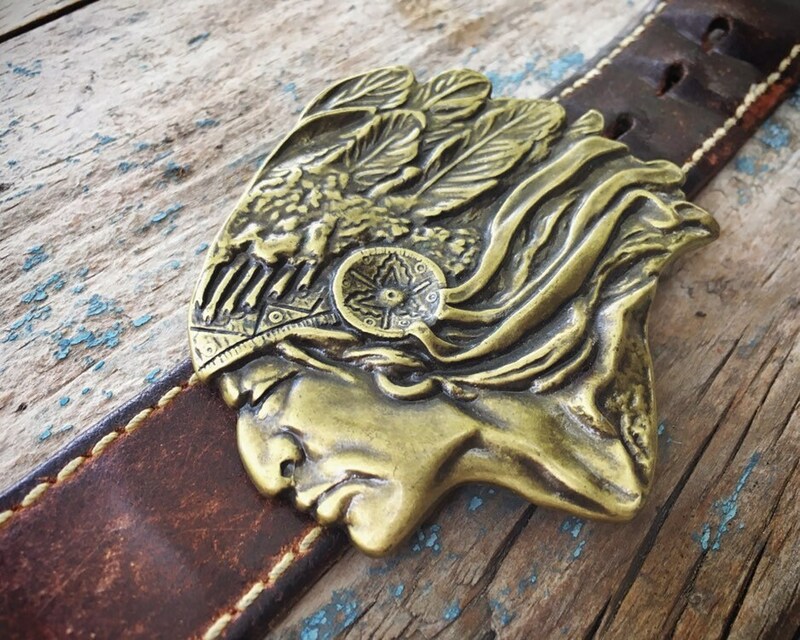 The brass buckles captured the times perfectly--benevolent face of a full moon, a marijuana leaf, psychedelic butterfly, dragons and snakes. 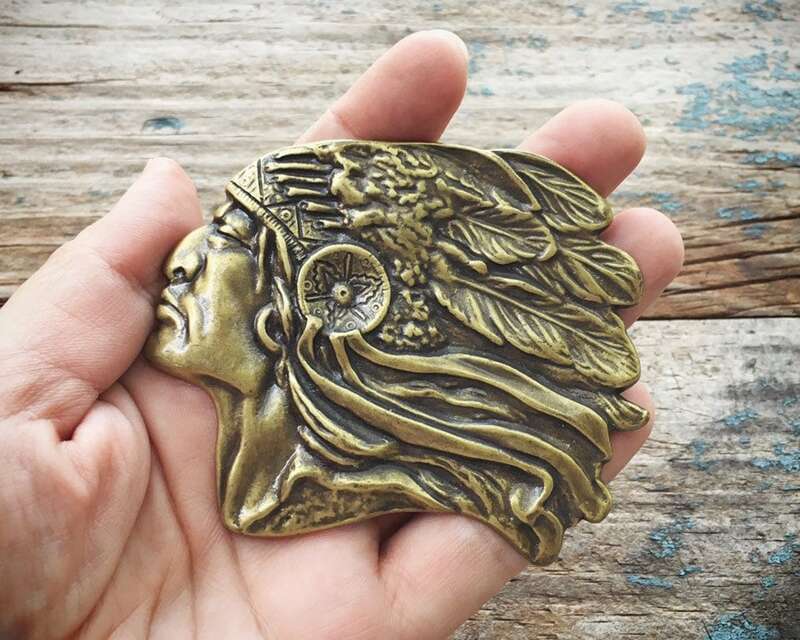 Fast forward to today and every once and a while I come across these solid brass buckles from that era, this time with the majestic profile of an Indian chieftain. So well rendered that it seems serious Southwestern art yet so ubiquitous in the day that it seems Route 66 souvenir. That's what I love most about this design--it can be different things to different people. As wasn't that what the 70s was all about? 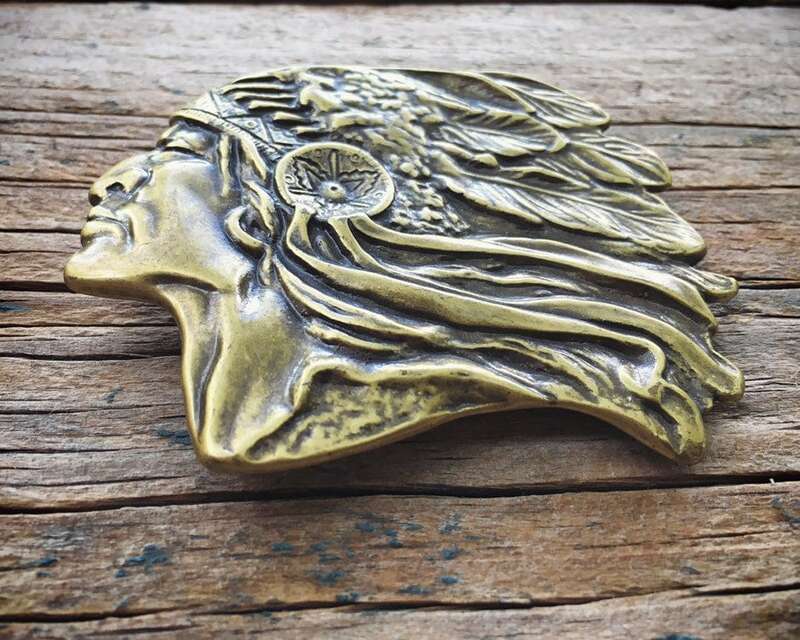 The belt buckle measures about 3-1/4" across by 2-1/2" tall. 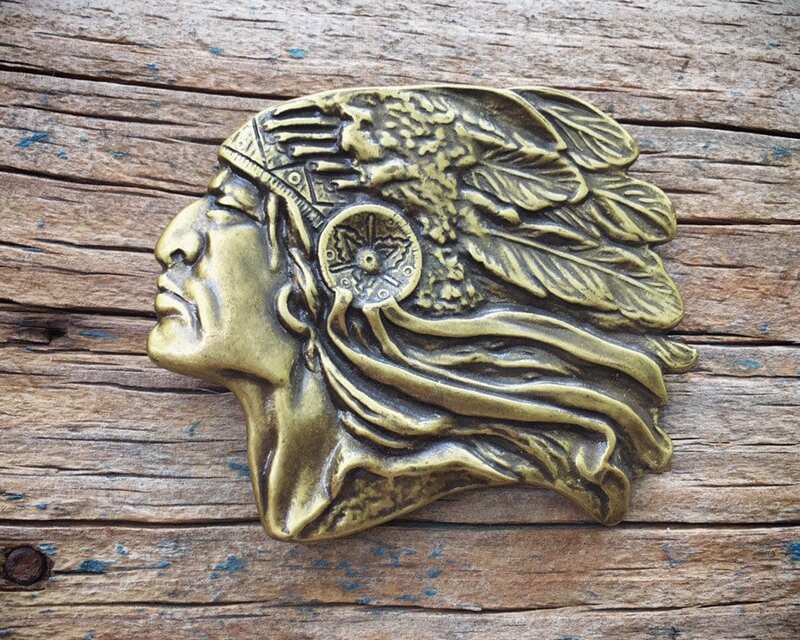 This belt buckle was made for a wide-ish belt, which you can tell because the bar width (where the belt goes) is 1-5/8" to 1-3/4. So while you can use a belt that's not quite as wide, be prepared for it to slide within that space. 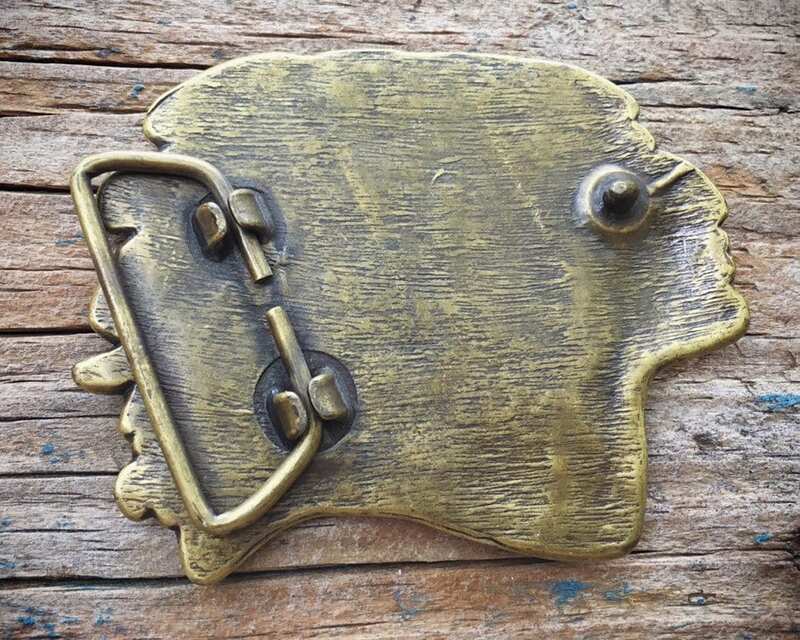 The brass buckle is not thick--it's actually quite thin, and that's nice as it's not a lot of extra weight to carr Leather belt not included.